Northwest Nazarene University Quad Master Plan & Implementation: Christ Plaza — The Land Group, Inc. 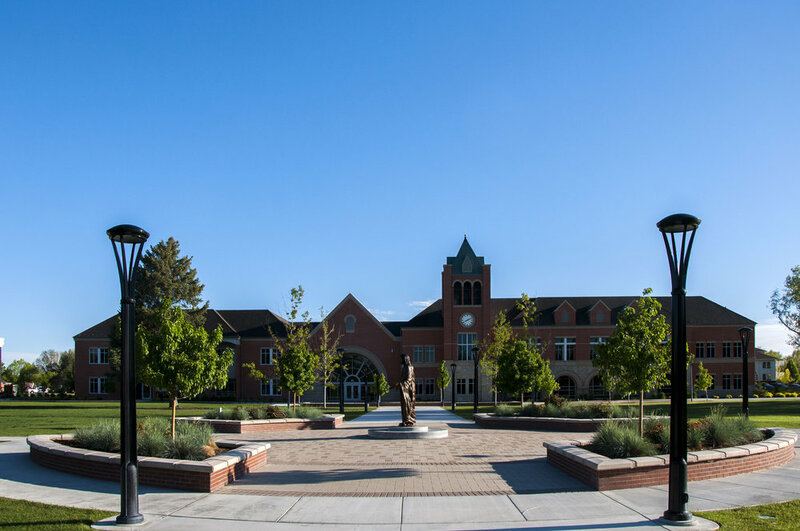 The Land Group provided complete quad master planning, landscape architectural, and civil engineering design services at Northwest Nazarene University's main campus in Nampa, Idaho. The scope of work included site planning, permitting, construction documents, site material and furnishings selections, and planting and irrigation design. The pedestrian-focused design is anchored by a central plaza featuring decorative seat walls, ornamental plantings, and a statue of Jesus Christ. 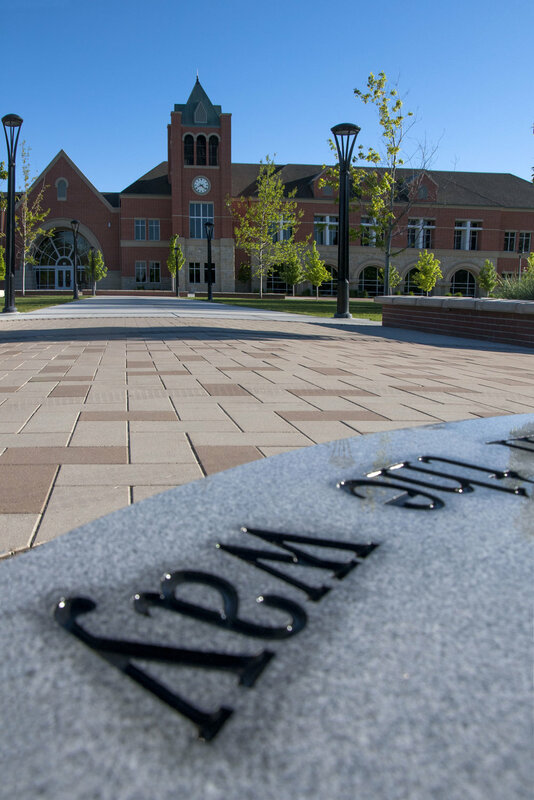 The new quad offers NNU a unique identity by reflecting on the university's mission, while simultaneously providing the formal and informal gathering spaces essential to a university campus.